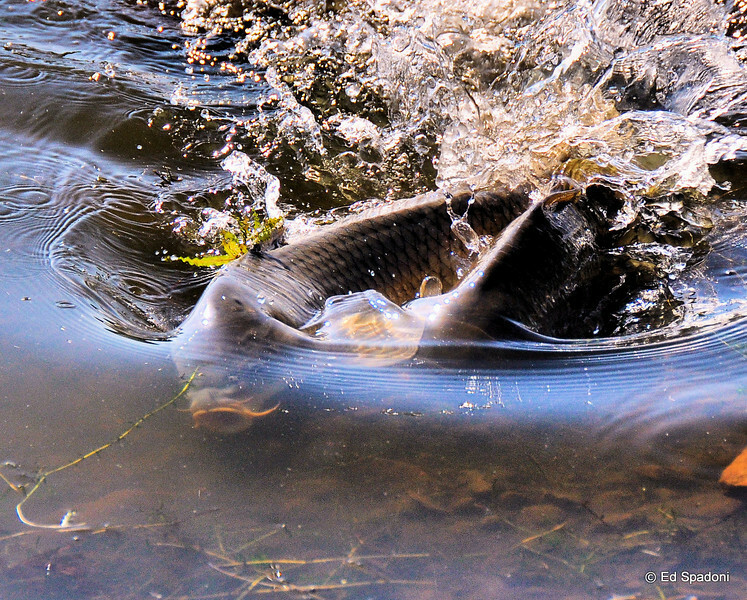 Edit: Thanks to Chuck B for his observation that these are more likely Carp than catfish. Thanks Chuck! I stopped by Lake Quannapowitt yesterday for some quick shots before work, and noticed a commotion in the water, right along the shore. What I found there were several pairs of Brown Bullhead catfish, averaging about 16-18" in length, cavorting and otherwise raising a ruckus. These gigantic fish were fascinating to watch. All around the lake's shore, there were countless more amorous twosomes. According to some locals who were walking by, 'tis the season for love. Sounds like an excellent experience. Fascinating detail on his mouth in this shot. And, that's some splash too. Great capture and comp on this one. I do not believe these are catfish, catfish have no scales. These are a variety of carp, the other pictures you took even show this more.